Watsonville, CA - After pleas from several area art teachers, the deadline for poster art entries has been extended to Friday, February 11, 2011. The contest page on the Santa Cruz County Fair website remains open and ready to accept artwork entries from high school and college students. The students are being given the opportunity of turning this year’s theme “Dancing with the Steers for 200 Years” into a piece of original art. 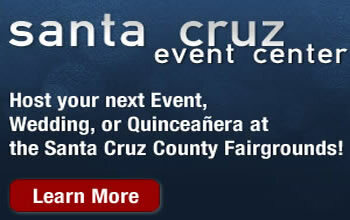 The winning artwork will be used to promote the 2011 Santa Cruz County Fair. Examples of previous posters, entry rules, and the on line submission system can be found at www.santacruzcountyfair.com The winning artist will be awarded $100 and passes to the 2011 Fair. Deadline to enter artwork has been extended to Friday, February 11, 2011. Questions on the entry process may be directed to Fair marketing director Steve Stagnaro via email to or by calling the fair office at 831-724-5671.